to Sell Your House & Get A Check Fast! When you need to sell your house in a hurry you can’t afford the time and trouble it takes to go through traditional real estate channels. 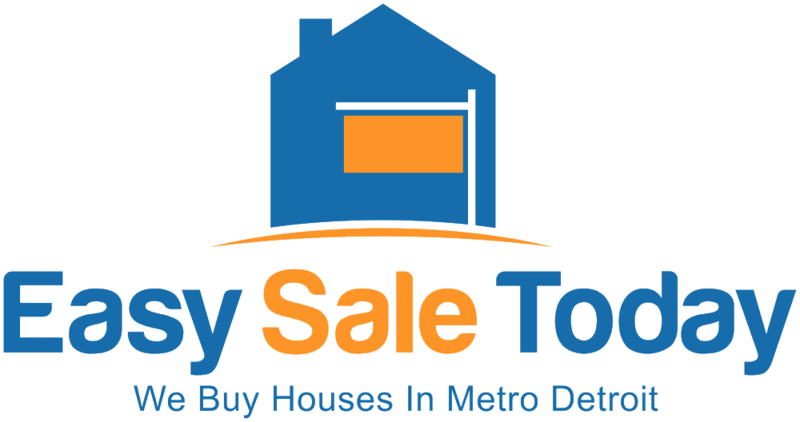 At Easy Sale Today, we offer fast home buying services in Metro Detroit, Michigan residents can take advantage of when they want to sell directly, quickly and without any hassle. Our exclusive “Easy Sale Three-Step Process” explains how it works which generally allows us to purchase your home within seven days. We can quote you a fair offer over the phone, right now. Nothing could be simpler or faster. Just answer a few easy questions about your house and we’ll make you a fair offer in 30 minutes. You can choose to accept the offer or not. If you want to sell your home fast, call us now at (586) 636-0088. We pay a brief visit your property. By doing much of our research and planning over the phone, all we need is about an hour to inspect your home, confirm the details, and answer any questions about the sale. The condition of your home does not matter! We’ll give you a written offer and outline the steps we’ll take to buy your house and get your money as quickly as possible. We schedule a closing date. We promise to buy your house fast, and we mean it! Once you accept our offer and we have a signed sales agreement we will be ready to close within seven days. We coordinate and organize all the necessary paperwork, title searches and legal documentation. You’ll receive the proceeds from the sale quickly, usually within a day or two of closing. It’s the easy, fast and effortless way to sell your house. We call our company “Easy Sale Today” for a reason: we are the professional home buyers in Metro Detroit who make it easy for you to sell today. We buy houses fast with cash in Michigan. 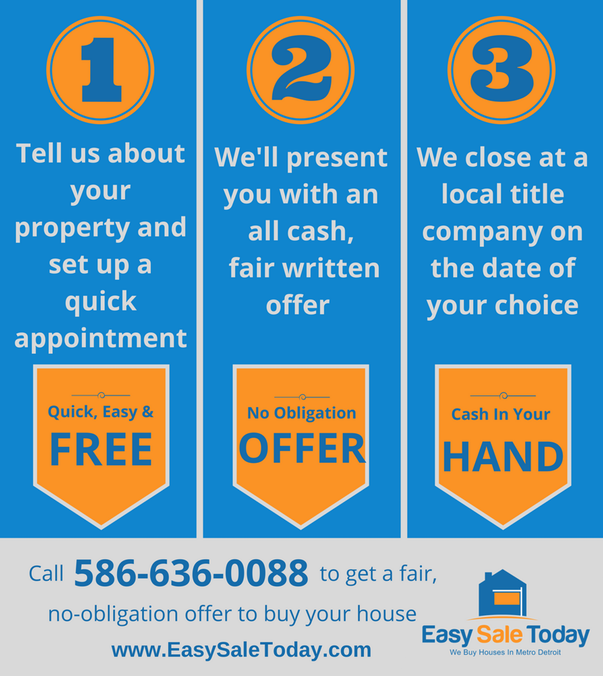 Our “Easy Sale Three-Step Process” let’s you avoid the waiting and haggling of involving real estate agents, or trying to sell your house on your own. Easy Sale Today offers a fair price and quick sale on foreclosures, inherited homes, for relocation sales, divorce sales, or if you are having difficulty in selling your home in today’s real estate market. Call us now! Ready to sell your house the fast, easy way? Call Easy Sale Today now at (586) 636-0088. Or click the button below and we’ll get things started. We buy houses in Detroit! We buy houses Metro Detroit! And, yes, we buy houses in Michigan!